In honor of Mother’s Day, we wanted to share with you a Pledge to Mother Earth and All the Other Mothers. 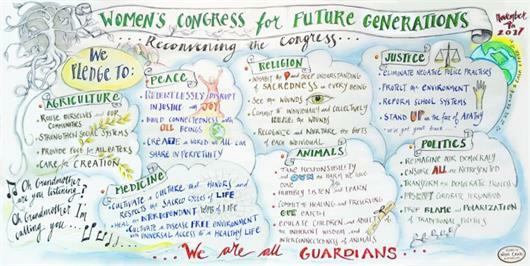 Last November, in the face of dysfunctional governments making sorry policies that threaten future generations of all beings, we at SEHN convened the Women’s Congress for Future Generations. We gathered as part of the resistance to government bodies passing laws and budgets that eviscerate the public good and our ability to take care of each other and the things we share. We wanted to show that there are other models than Washington DC and its horse-trading in back rooms dominated by lobbyists for transnational corporations. We created the Women’s Congress For Future Generations to be a shadow government, modeling new ways to make decisions that affect us all, but especially our children and our children’s children. The November Women’s Congress was our third event. 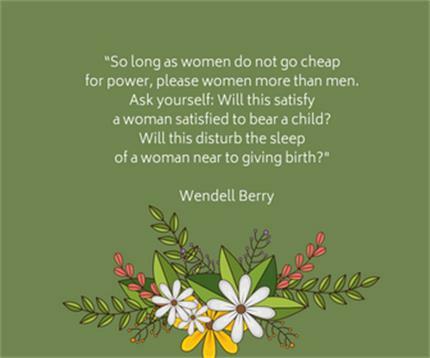 We convened all three of the Women’s Congresses as an experiment in lifting up women’s voices, preventing the preventable suffering and caring for the future. We set in motion different principles than those short-sighted notions that guide Washington DC. We knew that we needed to watch out not just for our own children but our neighbor’s children and their great, great grandchildren. Our neighbor included the oak tree, the white pelican and the dragonfly. 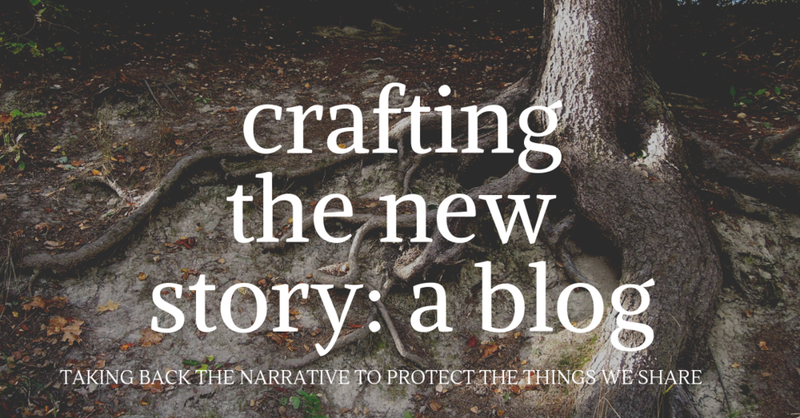 We knew that statistics about birth defects, hurricanes, breast cancer or whale beachings translated into stories of suffering. We knew that many of those tragedies could have been prevented. We felt in our bones that if suffering can be prevented that we had a moral obligation to prevent it and that tolerating suffering to grow the economy was a false choice. So we created the Women’s Congress for future generations to experiment with different policy-making processes that reflected a sane reverence, collaboration, and wisdom. Each Congress we’ve focused on a different set of questions. We’ve primarily used a caucus format that resembles a Council of All Beings to answer those questions. The outcome of the first two Congresses were Declarations. The first was the Declaration of the Rights of Future Generations. The second was the Declaration of the Rights of all Waters. The outcome of the third Congress was a Pledge to Mother Earth and all the Other Mothers. We pledge to care for the sacred connections that bind us to the Earth and to each other. We will witness injustice and act to prevent suffering in our communities and to future generations. We will disrupt injustice and mend disconnection. We will restore healthy and just relationships and remember that reciprocity and gratitude are an essential part of these sacred relationships with all the beings of the Earth. We will dream the dreams and call the visions to create new ways of living together based on justice and the sacredness of life. We pledge to speak in our compassionate truth. We regard agriculture as a sacred relationship between seeds, water, soil, plants, animals, stones, fungi, air, insects, microbes and humanity as part of one grand family of relations. We withdraw our consent to the dominant and dangerous agriculture surplus that has corrupted our seeds and animals, that has poisoned our soil, water, air and bodies, which contributes to climate chaos. As the guardians of Peace, we pledge to relentlessly disrupt injustice with love and joy We summon our deepest wisdom and courage to recognize and restore connection between all living beings in order to create a world we and all our relations can share and cherish in perpetuity. We pledge as guardians of the guild of medicine to celebrate our collective birthright to a clean world, to cultivate a disease-free environment with universal access to a healthy life (food, ceremonies, gratitude, community, play, prayer, laughter and stories) and holistic integrated choices and care. We pledge to heal the interdependent web of life. We pledge to cultivate a culture that honors and respects the sacred cycles of life. W will look to the core of our spiritual traditions and reconnect to the teaching of love that sees the sacred embodied in each person and the Earth. To recognize that there are barriers to the expression of that love because of un-witnessed violence, genocide and colonization, to recognize that these wounds create a trauma in all of us, individually and in community to witness and heal that trauma through ceremony and deep relationship with the sacred. To honor the sacred in all beings by coming into communities that can cultivate belonging, witness the gifts of each person and nurture those gifts through mentoring so that people can take prayerful relational action and be of service. As a member of the animal community, we humans pledge to take responsibility and own the harm we have done. With humility we will listen and learn from our animal relatives. We commit to healing and preserving our Earth that is shared with all life. As one family we take responsibility to uphold the rights of nature and all our relatives. We pledge to educate children and adult about the inherent wisdom and interconnectedness of animals. We pledge as guardians of justice to protect the environment from deleterious climate change and poison, to eliminate unjust police practices, reform the school system to longer be pipelines to prison and stand up in the face of apathy. We, the Guardians of Politics, pledge to transform our Democracy and the socio economic systems rooted in injustice. We enshrine the rights of future generations and the Earth in the Constitution. We reject Corporate Personhood and withdraw our consent to current political mechanisms. We pledge to create deliberative processes and sustainable economics guided by the long forecaring of the commons and respect for all living beings. 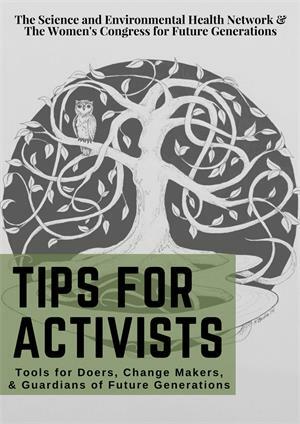 The first tips for activists is on planning and the public trust doctrine. Carolyn, SEHN Executive Director, is quoted by the Iowa News Service. "The bill is particularly dangerous because it slips in the idea that a crude oil pipeline owned by a massive corporation not even located in Iowa is critical infrastructure." 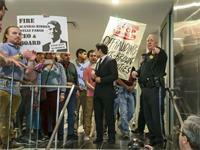 SEHN Executive Director, Carolyn Raffensperger attended the Wells Fargo annual shareholders meeting to question executives' claims of providing $12 billion in financing for renewable energy, while providing financing for large oil companies building pipelines.